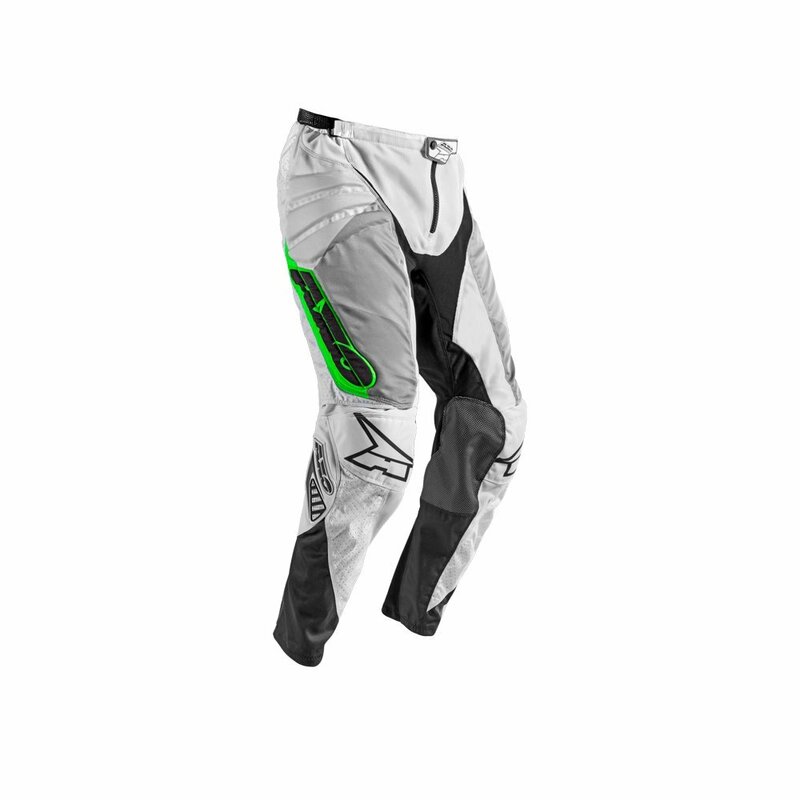 The Axo Prisma Motocross Pants 44 White Grey Green (UK 28) is part of the latest Axo collection. 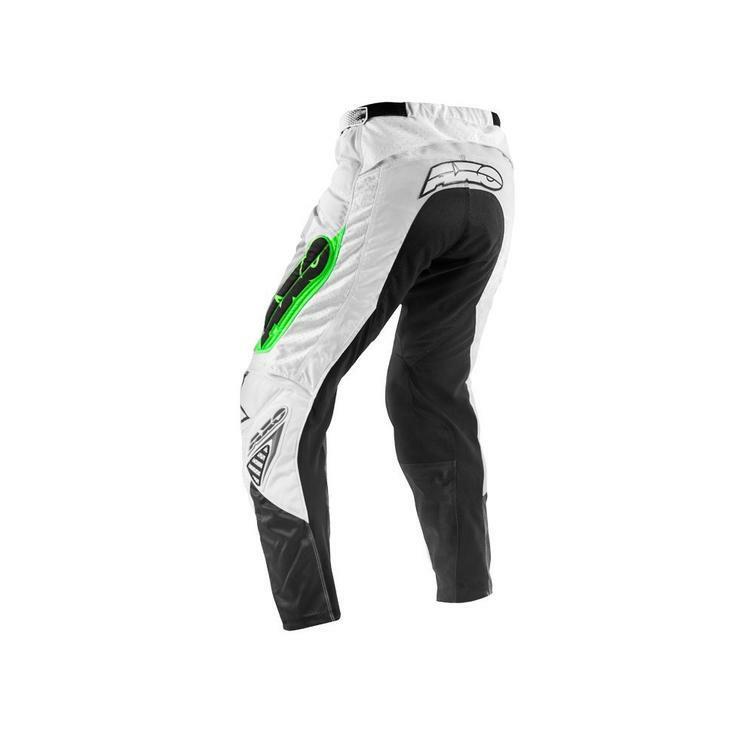 Front, thigh and ankle panels in soft 4WAY stretch material for the best comfort. Heat resistant panels inside knees. Silky liner with waist gripper stretch. Wide knee rib for a unrestricted knee flex. 3D knee pocket fits all styles of braces and cups.